Release Date: June 9th, 2006 (Angelika Film Center) by Miramax Films. BASIC PREMISE: A documentary about the Roughriders, an all-girls’ high school basketball team which coach Bill Resler leads to victory. ENTERTAINMENT VALUE: Regardless of whether or not you’re a basketball fan, The Heart of the Game never ceases to entertain. Roosevelt High Roughriders’ coach Bill Resler has plenty of charisma, off-beat humor and energy which help a great deal to motivate the Roughriders. He uses an aggressive strategy so that the girls pretend to be like wild animals attacking their prey on the court. Will they be able to defeat their rival, Garfield High School? Had writer/director Ward Serrill just focused on that question, The Heart of the Game would have been pretty standard and dull. However, Serrill wisely focuses on the amazing story of Darnielia Russell, a player who struggled in many ways both on and off the court. Her biggest challenge was when she got pregnant, came back with her baby and still wanted to play on the team. Of course, Bill Resler fought for her to stay on the team as much as possible, even though the WIAA threatened legal actions. This isn’t just a story of how an inspirational coach caused an underdog basketball team to winning crucial games. Granted, the footage of the Roughriders playing other teams on the court feels thrilling and exciting. What truly adds thrills is all of the tension and drama off the court which director Ward Serrill brilliantly incorporates into the film without a single scene that drags. SPIRITUAL VALUE: By humanizing some of the Roughriders’ basketball players, Serrill shows how difficult it actually is to be an athlete while trying to cope with life outside of the court. It takes more than just courage to balance life on and off the court: it also takes an innate drive to succeed, devotion, and a lot of hard work. 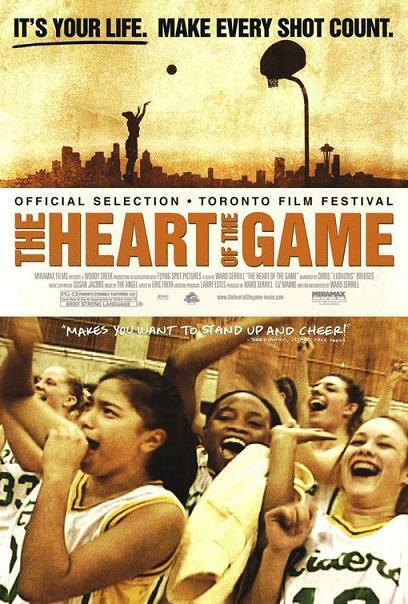 Ultimately, The Heart of the Game feels inspiring, uplifting and heartfelt. IN A NUTSHELL: Riveting, uplifting and heartfelt! It’s this year’s Hoop Dreams!